Flashlights...Big or small make sure you have a good one and any batteries you may need! I prefer the small, but powerful Maglite AA LED version. The beam can be focused to a fine stream or broadened to cover a larger area. Its the LED bulb that makes it so bright and last so long. It even has a strobe function! They come with a small pouch to attach to your belt, so its always handy when it needs to be, yet out of the way when you need hands free. Every member of a team needs to have one. (or two). 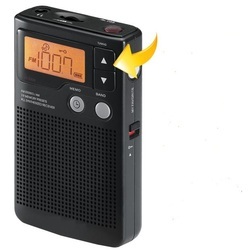 Our spirit boxes are nothing more than a small AM FM radio designed to scan frequencies at a high rate of speed allowing spirits the opportunity to use syllables in the broadcasts being scanned to form words and communicate with us. They only pause on stations for around one tenth of a second, making it hard to pick up entire words from just one station. With that in mind, we have heard and recorded full sentences using ours over a broad band of stations. 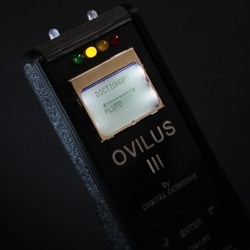 So far it has proven to be a great asset while investigating, but its always better to get an EVP without it. We find that if you keep the volume level near your own speech level, then place it equal distance from you and your recorder, what we call the (Audio Triangle) the recording will be more balanced when played back. We use both SP7 and Sangean spirit boxes and we prefer the type that scan both AM and FM. We have found that the SP7 requies an amplified speaker to be truly audible. That means more equipment and additional batteries. For those that aren't familiar with the device, it allows spirits to manipulate the device to form words. It contains a data base with over 2000 words and a phonetic word generator for words that aren't already preprogramed in. It has other functions as well, but it primarily give the spirits-entities another audible way of communicating with us. The MEL Meter we use was designed by a father that wished to communicate with his daughter after she was killed in a car accident. 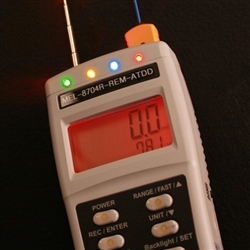 (Her name was Mel, hence the name) Our meter has numerous functions, but its primary duty is to detect Electromagnetic Fluctuations and give temperature readings. It is a lot more sensitive than our K2, but works on similar principles. The one we use, (pictured to the left) has a REM function and ATDD feature allowing us to use it as a REM pod or check for atmospheric temperature fluctuations. Each MEL meter model has different functions, so you'll need to order the one that suites your personal needs and budget. This is a new piece of equipment we just added. 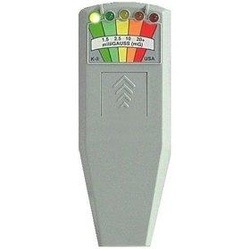 It combines an EMF meter with a thermometer that alarms when there is a 2 degree temp difference and a geophone. We found that it works as advertised during a recent investigation. While it won't take the place of our K2's or MEL meter, it is a nice addition and can easily be seen from a distance. The surrounding rubberized case gives it nice protection. These are inexpensive tools used to help illuminate a space for detecting motion. We use three different colored lasers during our investigations. In my opinion they all have specific uses, but its more of a preference on my part than functionality. All three colors offer the ability to change the pattern of the dots being projected to optimize coverage. We use them on small tripods, but they can be laid on a shelf, object, or the floor. GREEN- Is the brightest and seems to offer the best illumination in larger spaces and is my favorite. RED- It seems to work best in medium size spaces and is a little easier on the eyes for longer periods of time. perfect for more confined areas like residential rooms or offices. I would have to say this is the most indispensable piece of equipment for ghost hunting outside of a good flashlight. While a lot of the other equipment we carry and utilize is helpful, this one piece has captured almost all of our evidence. 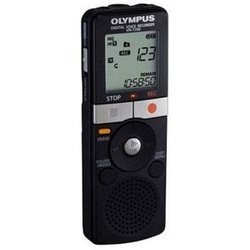 The nice thing about Digital Recorders is that they are relatively inexpensive, can be bought anywhere, and have other uses outside of ghost hunting. If you haven't bought one yet, I'd like to recommend one thing... buy one that has a USB port on it. It doesn't make it any better per say, but it allows you to download all your recordings much faster than doing it in "real time". The one pictured here on the left is easy to use, but the downloads take as long as the recording took, it requires a 1/8 male to male patch cord instead of USB. So, if you have four hours of recordings to download, it will take four hours of play back to upload. This model is also a mono type recorder. Stereo models are better, but not necessary. This is a relatively new area for me so bear with me. The internet is full of close circuit IR camera systems. For me, I had some requirements I wanted to fill. I wanted as much memory in the DVR as I could afford, eight cameras,(with the ability to expand to more later) cable type as opposed to wireless, and the ability to access the system via my smart phone. Your requirements may vary, but the jest of it is... a static camera system that will record while I am conducting my investigation elsewhere. After all, you can't be everywhere at once, but your IR cameras can. The reason I am not going "wireless" is that the wireless type systems that I have looked at (in my $$$ range) only have a range of 330' (line of sight). That sounds good until you consider that you will be dealing with walls and other forms of interference that may limit the cameras ability to communicate with the DVR. The other problem is that the WiFi type systems also interfere with other routers within a 150' radius of the DVR. That may not be a problem in an old abandon prison or farm house, but in an urban enviroment where is likely to be another router nearby...that could present problems for me and them. My unit came with 65'cables for each camera,so I added some 150' cables for those areas further away from the DVR. The internet is full of longer premade cables and they are relatively inexpensive. Just make sure that they are compatible with the system you are using. Don't forget that you will need to invest is a monitor or HD TV. I was able to find a reconditioned 1080p 24" flat screen for around $150. Of course you'll need the appropriate extension cord, surge protectors, VGA cord and a way to transport the equipment without damaging it as well. Dowsing rods have been around forever it seems. They come in handy for all sorts of things such as finding water courses to communicating with spirits. For that very reason they are considered another tool in the tool box when it comes to investigating. 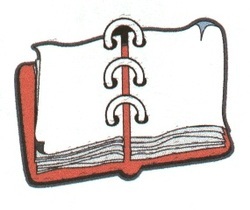 Our group has used them to backup or validate other information we may be receiving at any given time. Give them a try. They are cheap to purchase or make and yield interesting results. We call it our log book. Its where we keep all of our information on the sites we investigate, client info, weather-atmospheric conditions, paranormal evidence, history, moon phases,etc. We also use it to keep track of dates, times, equipment used, whether the location has electricity, and any pertinent info regarding the investigation for present and future use. Its easy to think that you can remember it all while its fresh in your mind, but after a while the investigations start to run together and info gets lost or forgotten. Its best to write it down. We often investigate a location more than once, so being able to see what we found the last time will often dictate how we will conduct future investigations. If the data is logged into the proper program, you can analyze all of it later for common elements. That way you know what works and what doesn't. I can't emphasize how important it is to have enough batteries on hand for every electronic device you bring to an investigation. Take inventory of which batteries your equipment uses and how many of each, then bring some extras along. Nothing is more frustrating than being miles from anywhere and not having the batteries you need to conduct a full investigation. Spirits often drain batteries to get their energy, so make sure you have enough to help them and yourself. I know with the advent of sophisticated cell phone technologies who needs walkie talkies, right. Depending on where you are, (and cell coverage) they offer a good way to stay in contact with individual teams and your command center. I recommend at least 2-4 GMRS types because they offer so many channel combinations. (not to mention you won't be burning up your minutes or data allowance). Our team has a NO cellphone policy while investigating. We still use them during our team swaps or while on break, just not while investigating. Not every site will have electricity. With batteries to charge, computers to run, or even having a heater or coffee on a cold night will make life a little easier. Don't forget the appropriate electrical cords and fuel. Get one that's quiet!!!! We have ours on a utility wagon so we can pull it where it needs to be. These things are heavy and you won't want to lug them around when you can roll them. It comes in handy at home too when the power goes out. Often times you won't want to contaminate your investigation site by operating your command center in the same structure that you're investigating. Having a separate place to regroup outside the site offers team members a place to collect themselves, stage, or go over recent evidence. For this reason you may want something other than your vehicle to get out of the weather or operate remotely from. We use an enclosed motorcycle trailer with a small table and chairs affectionately known as the "spook wagon". We outfitted it with a power strip for the generator and a florescent light so we can have some privacy and aren't effected by the weather. Whether its a ball, a doll, scrabble letters or something else like flour for footprints, keep them handy. You'll want to encourage interaction with the spirits, especially children. After all, you may the first people to interact with them in years. A lot of locations aren't close to anything and you may not want to leave for a food run. Bring enough supplies with you so that you don't have to. Having a cooler or making food ahead of time gives you a nice break and saves $$$. Don't bring them in to the investigation! It might be sunny and 80 when you arrive, but it won't be like that at 3-4 am. Make sure if you're outside that you have what you need to stay warm and dry. Sometimes a change of clothing is necessary if you tear your pants or get soaking wet. You can always bring it home if you don't need them. Make up a "go bag" that you don't have to pack and unpack every time. Since some sites can be remote or in unfamiliar territory, having a medical kit is a good precaution. No one wants to get cut on a rusty nail, or step through a rotten floorboard, but it happens. Besides, do you know where the local hospital is and how to get there if you needed to? You need them or a GPS if you're doing a large open area like a civil war battlefield. Its easy to get lost in unfamiliar territory at night. 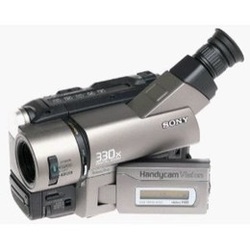 One of my newer camcorders actually has a GPS function in it that records where the video was shot built into it. Having one or both allows the investigator to log phenomenon in a specific place using way points or a pen. you can mark the location of phenomenon so that the exact location can be found again. There is a lot of it out there to use for analyzing your EVPs or Video. Some of it came with your computer and others I use came with equipment. For video we use Windows Movie Maker and for audio we use Audacity. (its free download online) All have their pros and cons. You'll be able to find something that suits your needs and get comfortable using it. I can't emphasize enough how important this is. Our team "sages" and says a prayer before we do any investigation and afterward as well. The last thing you should want to do is "bring" something in or "take" something home with you. Make sure you even sage the bottom of your feet as well. It has served us very well so far.